Toscanaluce's Gallery accessory set is a bath accessory set that will compliment a contemporary style master bath. 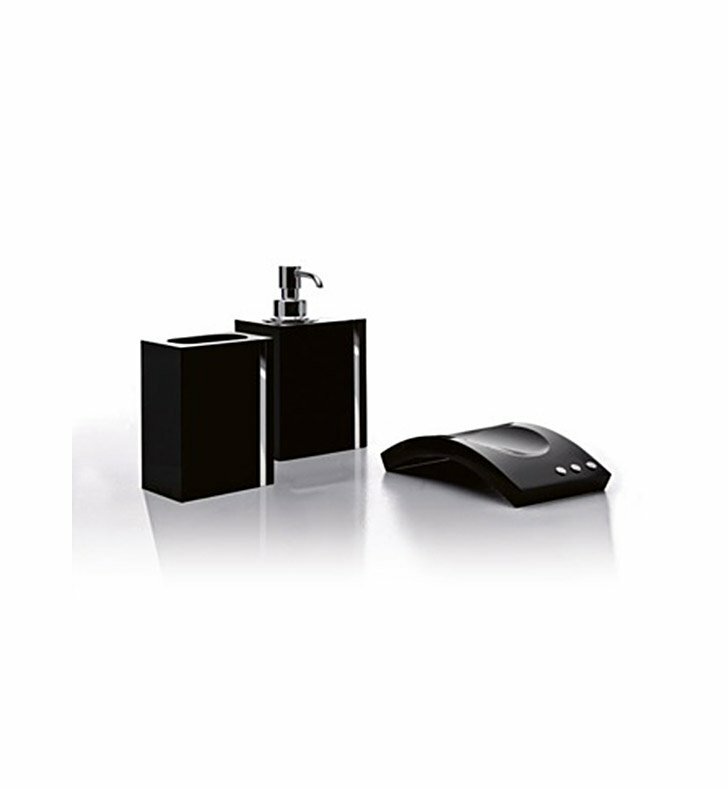 Made in Italy by Toscanaluce, this free stand accessory set is a designer-quality option for your high-end bathroom. This high-quality accessory set is made of high quality plexiglass and brass and coated with black, blue, green, orange, light blue, white, or pink.